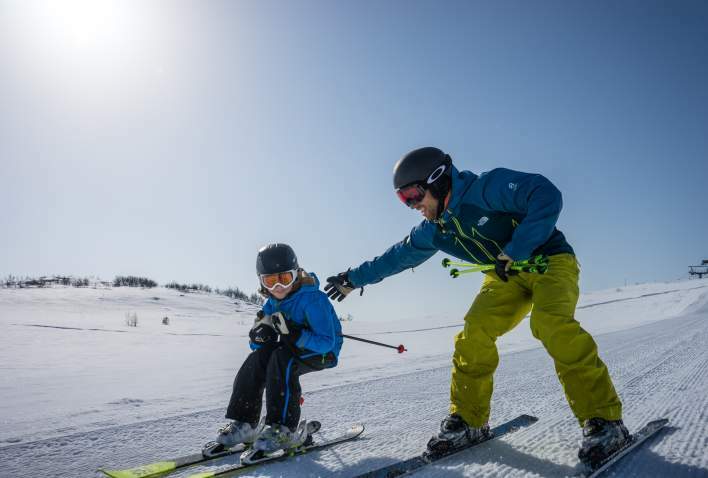 Wheter you are a novice or an expert, a ski lesson with a highly qualified ski instructor in Geilo will improve your skills and experience on the slopes. You can join a group lesson or book a private lesson. Choose between three meeting points for your ski lesson. Geilo Skiskole is situated at Slaatta. Or you can join SkiGeilo in Vestlia or Havsdalen. Lessons are offered both private or in a group. Improve your alpine, snowboard, telemark or cross country skills. Book your ski lesson with Geilo Skiskole. Book your ski lesson with SkiGeilo.